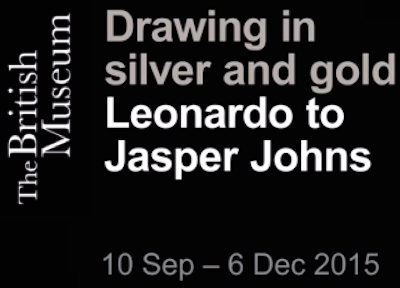 Drawing In Silver & Gold: Leonardo To Jasper Johns opens today at the British Museum in London, and will close on 6th December. The exhibition, curated by Stacey Sell and Hugo Chapman, has transferred from the National Gallery of Art in Washington, where it was held earlier this year. The first exhibition devoted to the history of metalpoint and silverpoint, Drawing In Silver & Gold includes 100 drawings dating from the Middle Ages onwards, an extraordinary collection of works by masters such as Leonardo da Vinci, Raphael, Durer, and Rembrandt. The exhibition catalogue is the first comprehensive study of metalpoint.